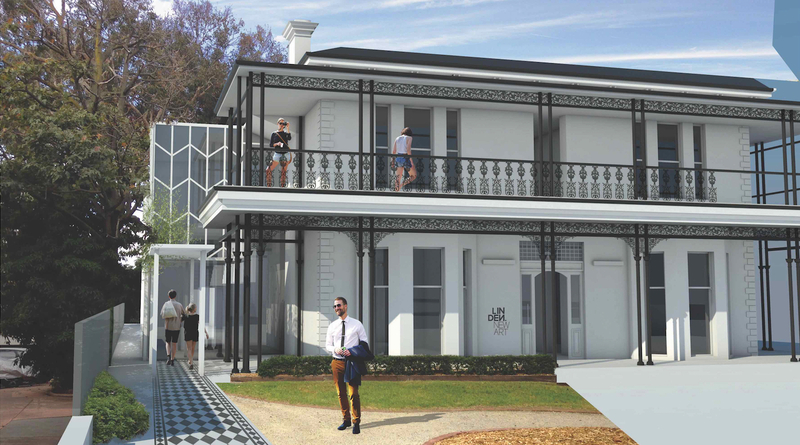 Art lovers will soon be able to enjoy extensive $1.9 million renovations to the historic Linden mansion, funded by the City of Port Phillip. Adding to the experience, Linden New Art is celebrating its St Kilda reopening in August with two exciting new exhibitions by leading mid-career Australian artists. Mayor Bernadene Voss said the Council-owned Victorian-era building is an important community asset. “As our City grows and evolves, it’s important that we preserve our unique character and that includes investing in heritage-listed icons such as Linden, which houses the gallery,” Cr Voss said. Whilst much of the structural improvements to the historic building will remain unseen, a striking new entrance building will boldly welcome visitors to the gallery. And for the first time ever, visitors will be able to access the second level to enjoy art in a brand-new exhibition space. The building has become DDA (Disability Discrimination Act) compliant, with improved street access and a new lift to the second level allowing more people the opportunity to explore the building. “This truly is a wonderful space to view art and enjoy quiet contemplation in a busy City. We are proud to have supported Linden New Art’s dedication to showcasing exciting contemporary art over the past 30 years and look forward to continuing this fantastic partnership,” Cr Voss said. Linden New Art is a public contemporary art gallery that specialises in showing leading mid-career Australian artists. It is renowned for presenting high-profile exhibitions, events and programs. “Melbourne based Julia deVille’s exhibition Wholeness and the Implicit Order will respond to the intimate spaces of the Victorian architecture of Linden by returning rooms to their original order and will fill a reconfigured dining room, bedroom and bathroom with her world-renowned taxidermy objects,” Ms Martin said. “We are also excited to be launching our new exhibition space with former Linden studio artist Natalie Ryan, as she presents Imaging the Dead. This exhibition explores themes that surround the aesthetic representation of animals from natural science collections,” she said. Linden New Art reopens with its exhibition launch on Saturday 25 August 2018, 2pm to 4pm at 26 Acland Street, St Kilda.